Martha and the Vandellas (known from 1967 to 1972 as Martha Reeves and the Vandellas) were among the most successful Motown recording groups in the period 1963-1967. In contrast to other Motown girl groups such as The Supremes and The Marvelettes, Martha and the Vandellas were known for a harder R&B sound, typified in their songs "Heat Wave," "Nowhere to Run," "Jimmy Mack," and their signature hit, "Dancing in the Street." During their nine-year run on the charts from 1963 to 1972, Martha and the Vandellas charted over 26 hits and recorded in the styles of doo-wop, R&B, pop, blues, rock, and soul. Ten of their songs reached the top ten of the Billboard R&B singles chart, including two R&B number ones. In 2004, Rolling Stone Magazine ranked Martha and the Vandellas number 96 on their its of the 100 Greatest Artists of All Time. Alabama-born and Detroit-reared Martha Reeves was brought up in the Christian church by her grandfather. While going to school at Detroit's Northeastern High School, she received vocal coaching from Abraham Silver, who also coached future Supremes members Florence Ballard and Mary Wilson and Miracles member Bobby Rogers. In 1957, the 16-year-old Reeves joined 15-year-olds Gloria Williams and Rosalind Ashford and 14-year-old Annette Beard to form the Del-Phis. The group performed at various talent shows, dances, and clubs, and was ultimately signed to the Chess subsidiary, Checkmate Records, releasing its first record, the Reeves-led "I'll Let You Know," in 1961. The group gained some attention from Motown after the label bought Checkmate. Now called The Vels, it released two more unsuccessful singles, neither of which featured Reeves in the lead. The group then broke up, and Reeves found other work. While performing solo at Detroit's Twenty Grand club, Reeves was asked by Motown executive William "Mickey" Stevenson to come to the label office to audition. The result was that she took the job of secretary at the label after showing up to audition on the wrong day. Around this time, she and her former Vels' bandmates Ashford and Beard were recruited to perform background singing for Marvin Gaye. Gaye's first hit records "Stubborn Kind of Fellow," "Hitch Hike," and "Pride and Joy," prominently featured the girls. In 1962, after singer Mary Wells missed a recording session to record a song Stevenson had written, he recruited Reeves to do the song as a demo. Bringing along Ashford and Beard, the trio recorded Stevenson's "I'll Have to Let Him Go." Their performance convinced Motown founder Berry Gordy to sign the Vels to another Motown subsidiary, Gordy Records, in September 1962. It was at this time that the group became known as Martha and the Vandellas. The syllable van was derived from a street in Reeves' neighborhood, Van Dyke Street, while dellas honored Reeves' favorite singer Della Reese, a Detroit native herself. Martha and the Vandellas struck gold with their second release, the first composition and production from the famed writing team Holland-Dozier-Holland, titled "Come and Get These Memories." It reached number 29 on the Billboard Hot 100 and peaked at number six on the R&B chart. Their second hit, "(Love is Like a) Heat Wave," became a huge hit, reaching number four on the Hot 100 and number one on the R&B singles chart for five weeks. "Heat Wave" was the group's first million-seller and earned a Grammy Award nomination for Best R&B Vocal Performance by a Duo or Group. The group's success continued with "Quicksand," another Holland-Dozier-Holland composition, which reached number eight on the pop charts in the late fall of 1963. Beard, who was pregnant with her first child and set to get married, chose to leave her singing career in 1964. She was replaced by Betty Kelly, formerly of The Velvelettes. The group's next two singles, "Live Wire" and "In My Lonely Room" were fairly successful singles, although they failed to reach the Top 40. However, the Vandellas' next single, "Dancing in the Street," rose up to number two on the Billboard Hot 100 and also found global success, peaking at number 21 on the UK pop singles chart in 1964. The song would become a million-seller, a perennial dance favorite, and is one of the most played singles in history. Between 1964 and 1967, singles like "Wild One," "Nowhere to Run," "You've Been in Love Too Long," "My Baby Loves Me," "I'm Ready for Love," and "Jimmy Mack" retained the Vandellas' status as one of Motown's top recording and performing acts. The group performed on The Ed Sullivan Show, American Bandstand, and Shindig!, among other popular television shows. In 1967, after the exit of Holland-Dozier-Holland, Motown struggled to find good material for many of its acts. Reeves' mentor William "Mickey" Stevenson had also left the label. Nevertheless, the Vandellas somehow continued to find moderate success with Top 40 singles such as "Love Bug Leave My Heart Alone," and "Honey Chile." In the summer of the 1967, the group joined The Supremes, The Temptations, The Four Tops, and Marvin Gaye in performing at the famed Copacabana. However, with the notable exception of the Supremes, the success of most Motown acts including Martha and Vandellas, declined in the late 1960s. Infighting among the members of the Vandellas also led to problems. Betty Kelly was let go in 1967 after missing shows and getting into altercations with Reeves on stage. She was replaced by Martha's sister Lois Reeves. Meanwhile, the group's name was officially changed to Martha Reeves and the Vandellas, conforming with Motown's recent changes of The Supremes and The Miracles's names to reflect their featured lead singers. In 1969, Reeves suffered a nervous breakdown and was briefly institutionalized in a mental hospital, reportedly after a "bad trip" on LSD. As a result, the Vandellas temporarily disbanded, and longtime member Rosalind Ashford retired from the music business. However, several Vandellas records, including "(We've Got) Honey Love," "Sweet Darlin'," and "Taking My Love and Leaving Me" were issued in Martha's absence. Upon Reeves' return to the group, Rosalind Ashford was replaced by another former member of The Velvelettes, Sandra Tilley. Martha Reeves and the Vandellas continued to release albums and singles into the early 1970s, but without notable success. The group disbanded following a farewell concert, held at Detroit's Cobo Hall on December 21, 1972. The next year, Reeves announced plans of starting a solo career. However, when Motown Records moved its operations to Los Angeles, Reeves refused to move. 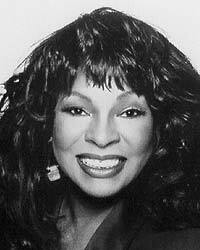 Signing with MCA in 1974 she released the critically acclaimed album Martha Reeves. Despite rave reviews of her work, neither of her post-Vandellas/Motown recordings produced strong sales. After living what she called "a rock & roll lifestyle" of prescription pills and alcohol, Reeves achieved sobriety in 1977, overcoming her addictions and became a born-again Baptist. Though the group received only one Grammy nomination (and no award) for "(Love Is Like A) Heat Wave" in 1964, Martha and the Vandellas' "Dancing in the Street" was inducted to the Grammy Hall of Fame in 1999. In 1993, the Vandellas were awarded the Pioneer Award at the Rhythm & Blues Foundation. Its members were inducted to the Rock & Roll Hall of Fame in 1995, becoming just the second all-female group to be so honored. They were inducted to the Vocal Group Hall of Fame in 2003. Two of their singles, "Heat Wave" and "Dancing in the Street" were included in the list of The Rock and Roll Hall of Fame's "500 Songs that Shaped Rock and Roll." In 2004, Rolling Stone Magazine ranked the group number 96 on its list of the 100 Greatest Artists of All Time. "Dancing in the Street" is one of the most covered and popular songs in rock & roll history. The song was revamped several times, including a 1982 live recording by rock band Van Halen and a famed 1985 duet by David Bowie and Mick Jagger. Another Vandellas' song, "Nowhere to Run" has often been featured during sports events. Their smash 1963 hit, "(Love Is Like A) Heat Wave," is considered the first song to typify the Motown sound with its call-and-response vocals, gospel-inspired backbeat, and jazz overtones. The Vandellas inspired a large number of African-American "girl groups" that followed them: The Emotions, Honey Cone, High Inergy, The Pointer Sisters, En Vogue, and Destiny's Child. The white group B-52's was also inspired by their style, and were present to induct Martha and the Vandellas into the Rock and Roll Hall of Fame. The following singles reached the Top 40 of either the United States pop singles chart or the United Kingdom pop singles chart. History of "Martha and the Vandellas"
This page was last modified on 24 August 2018, at 15:06.